Microsoft has invited New York-based cloud integrator and service provider Nimbo into its Windows Azure Circle Program, which enables Microsoft partners to advise on the future of the platform-as-a-service cloud. Apparently, Nimbo has been a huge channel proponent of Microsoft Windows Azure and very proactive about promoting it to clients. In the press release, Nimbo said it’s been responsible for moving plenty of its enterprise customers to Azure-based solutions, from development and deployment through support. 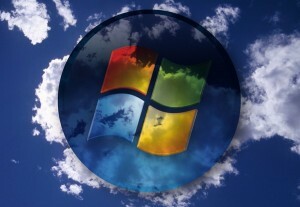 In fact, Nimbo is the cloud service provider that hosts the Windows Azure user group in New York and New Jersey. “We work with the Windows Azure Platform because of its powerful toolset and familiar development environment. Our customers have responded favorably to its flexibility both in pricing and depth of features,” said Washington Leon-Jordan, Nimbo’s vice president of Technology, in a prepared statement. And as a member of this Windows Azure Circle Program, Nimbo claimed its customers will benefit from the expanded access to Microsoft’s cloud team and resources. And in return, Microsoft gets to pick Nimbo’s collective brains about features, services and outreach that Windows Azure needs to focus on to compete in the crowded PaaS market. Between this and the recent expansion of the Cloud Champions Club, it seems as though Microsoft is really looking to bring partners deeper into its cloud ecosystem and roadmap. TalkinCloud will continue to track Microsoft’s cloud partner momentum, so stay tuned.